in 360i News, Creative & Tech with tags Kraft Foods, Mobile Both comments and trackbacks are closed. 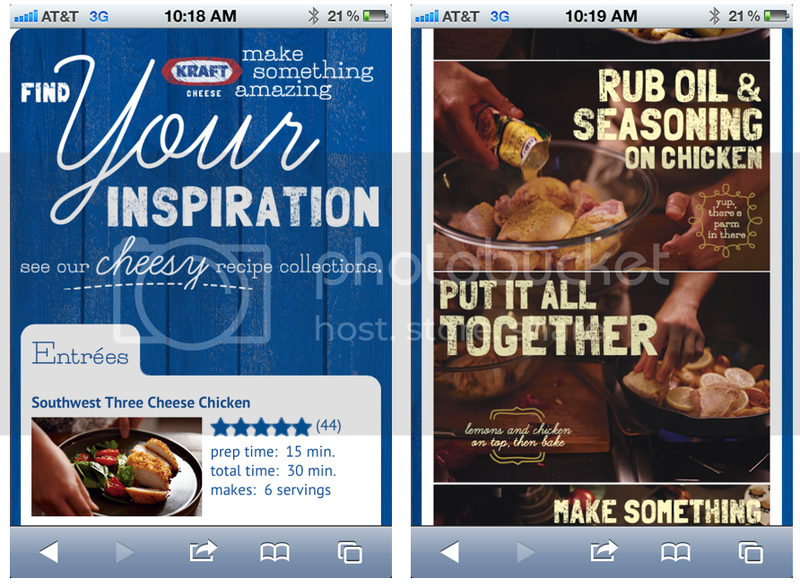 Kraft Foods’ Make Something Amazing site has been named Best Mobile Website in the Food Industry by the MobileWebAwards. Earlier this year, the site won an Outstanding Website Award in the Internet Advertising Competition. Kraft Foods, a 360i client, launched Make Something Amazing earlier this year to spark conversations and creativity among the brand’s audience of digitally savvy moms. The website was optimized for moms using mobile devices on the go and in the kitchen. The mobile site offers a do-it-yourself look and feel to inspire moms and change the way they consume recipe content on their mobile devices. Displaying visually vibrant recipe collections and inspiring how-to videos, the site is perfect for moms to use while shopping or while in the kitchen cooking up something delicious. The site also provides step-by-step directions overlaying mouth-watering visuals, as well as quick-view instructions. For those simply browsing, the mobile site offers recipe categories for entrees, sandwiches, brunch, appetizers and more. Moms can add recipes to their recipe box, add ingredients to a shopping list, and share recipes via email, text or Facebook. The mobile site’s rich visuals of sizzling food inspire moms to get creative and Make Something Amazing with Kraft Cheeses. You can visit the site at http://www.makesomethingamazing.com/. Congratulations to Kraft Foods and the team at 360i who worked on this program.